Starting April 15th I will be hosting a clean eating and Shakeology private online support group. For 30 days I will teach you how to plan out your meals, grocery shop, choose healthy meals and snacks and incorporate Shakeology as one meal a day. I will teach you the basics of proper nutrition, fueling your body for energy and not for comfort and dealing with all the temptations that surround us on a daily basis. All the support and guidance you need to truly make a lifestyle change. Because 80% of your weight loss comes from nutrition, so why waste all those hours in the gym if your nutrition isn't right? Do you want to make a change? Are you afraid to start? Well this is the perfect place to go! Contact me for details. If you buy lunch everyday at Cosi, Chipotle, Panera Bread, Corner Bakery, Au Bon Pain, or Pret a Manager you're spending $7.50 on a sandwich or burrito, add on tax and drink you're up to $9 a day! The majority of the foods trucks downtown are $8 a plate and do you know how many calories are in your plate? Shakeology is a quick and easy way to get all the nutrients you would from a bowl of fruit and vegetables. Perfect for a meal replacement prepared in less than one minute if you're too busy to cook breakfast. Or if you're on the go running errands around town or on a long car trip so you don't have to eat gas station food. For college students its an easy healthy late night snack. It's a great after gym protein shake as it helps increase energy, build and repair muscles, its full of antioxidants and will help you to maintain a healthy weight. It’s high in vitamin C (thanks to the camu camu) and zinc so if you're prone to get sick often shakeology will make your immune system stronger; I rarely get sick. I've also heard from many people that the vitamin content in the shake has helped with their migraines. If used daily for three months its been shown to lower your cholesterol. And it will kill your sweet cravings. Carl Daikeler, CEO of Beachbody, personally went around all over the world for 70 different ingredients from one lot farmers to make sure the integrity was perfect, not chemically altered, the soil wasn't depleted, and negotiated importing each of them, now that's a lot of work! Its not taking the cheap easy way to make a shake of 70 whole foods vs synthetic chemically manufactured ingredients. 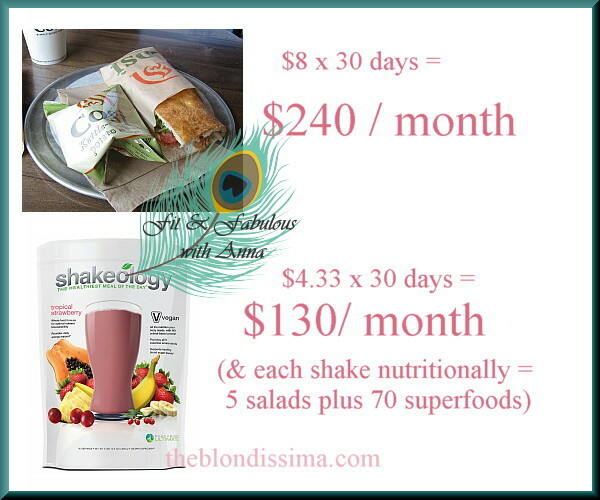 There’s not much of a profit margin to the company with shakeology and the science to put it into a bag and keep it fresh is just amazing! It comes in four flavors: Greenberry, Chocolate (whey), Chocolate (vegan) or Tropical (vegan). Beachbody gives 25% discount to active duty military, ask me how to set that up for you. I’ve been into superfoods for a long time and there's really no other product on the market that compares to its ingredient list which include Brown rice protein, Pea protein, Maca root, Chia, Quinoa, Yacon root, Spirulina, Chlorella, Pomegranate, Goji berry, Açai, Camu-Camu, Himalayan salt, Strawberry, Banana, Pineapple, Papaya, Green tea, Maitake & Reishi mushrooms (used for centuries for medicinal purposes), Barley grass juice, Kamut grass juice, Spinach, Holy basil, Wheat grass juice (2 oz of wheat grass is equivalent to eating 4 lbs of green vegetables), Ginkgo biloba just to name a few. When you look at all the amazing ingredients Shakeology has you'll see it's more than just a protein shake, its a nutrient bomb in a glass. You can't get all these ingredients from just healthy eating and it blows your regular multi-vitamin out the water!